Since I ordered my garlic bulbs way back in the spring, I was not thinking of them at all when they arrived in the mail several days ago. 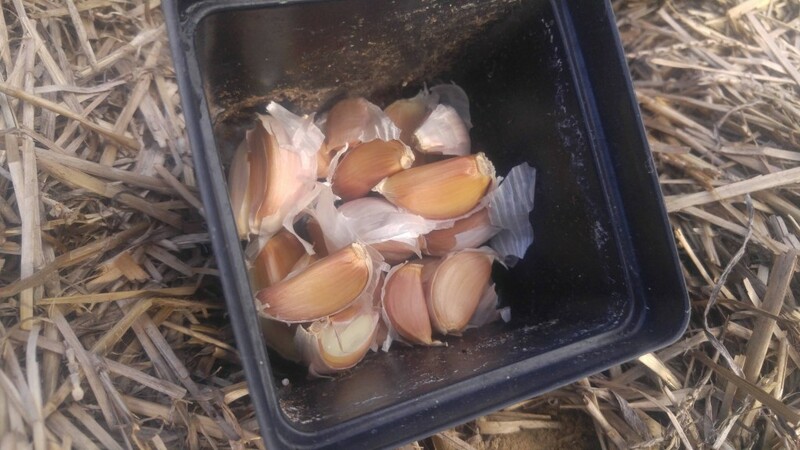 I got those garlic cloves into the ground right away even though they could have been planted anytime from October through November. 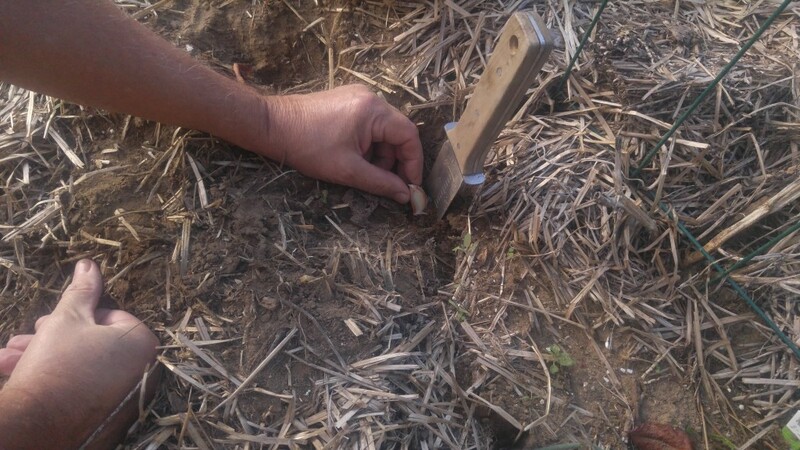 Getting them earlier gives them a chance to put down some roots and get nestled in for the winter. In the past, I’ve had to postpone my garlic planting until well into November and the crop seemed to do quite well despite the delay. Garlic for planting looks just like a bulb from the grocery store produce department. Cover the cloves with one to two inches of soil. Before planting you need to separate the cloves yourself. 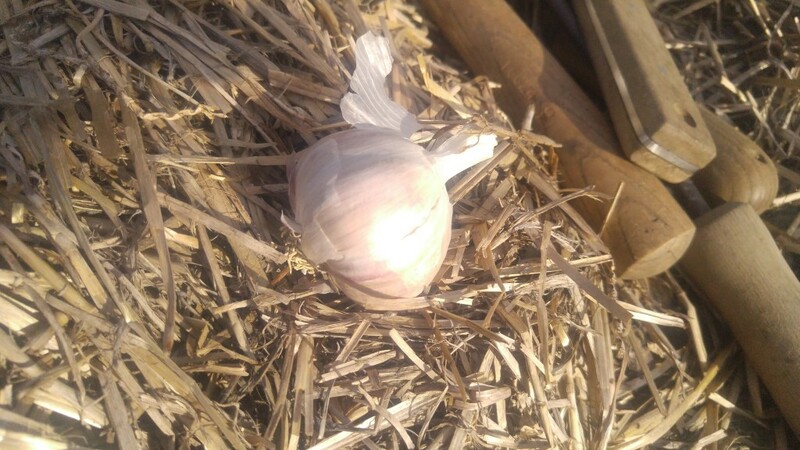 Always place the garlic clove with the root end down. 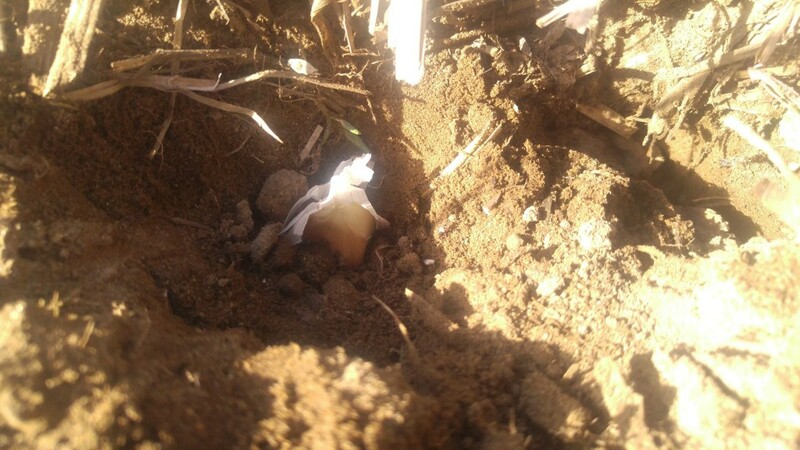 You have to plan ahead if you want to grow garlic because when planting time rolls around, you very likely will not be able to find cloves to plant. So put it in your calendar for next spring as a reminder to yourself to place your order.